I always emphasize the importance of understanding a project’s underlying strategy and purpose before starting to divvy up tasks (we cover this in detail in our DPM training course—and one of the ways you can build this understanding is by using mind mapping software. Wait a minute, Ben—what does mind mapping have to do with project management? That’s a great question. Even though drawing mind maps or doing visual brainstorming isn’t part of the standard project management lifecycle, it probably should be. Long before you dive into writing a Statement of Work, project managers can use mind maps to solidify the strategy and big ideas behind each undertaking. 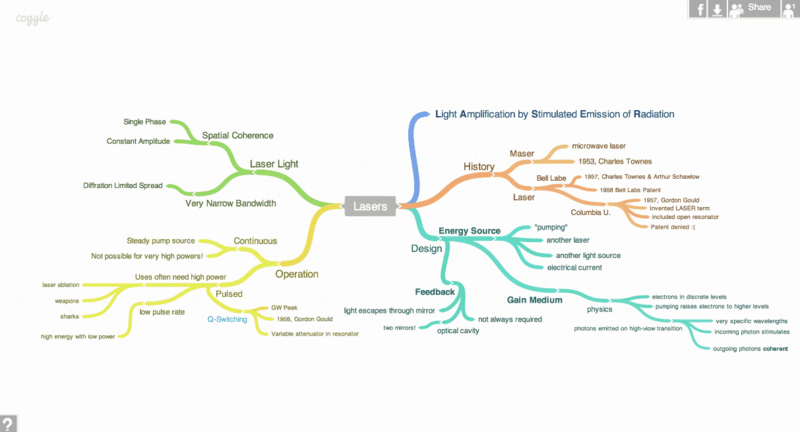 Creating a mindmap can help you catch, capture, and connect new ideas. Additionally, it can help you categorize the parts of a project and break down complex projects in a visually intuitive way. Read on to learn about mind mapping software. First, learn what it is and what functionality it offers. Then, see how to choose the mind map software that best fit your working style, budget, and goals. There are dozens of mind mapping tools out there, so I’ve tried to save you time by providing a summary, score, and basic info for each tool to get you started. What Is Mind Mapping Software? Mind mapping software (also called concept mapping software) is a brainstorming tool that enables you to create visual diagrams of your ideas. Using a mind map maker, you can create an idea map, a conceptual map that illustrates the hierarchy and connections between different ideas. Brainstorming: Create mind maps—visually organize and present ideas. Diagramming: Create engineering diagrams, project timelines, architectural plans, org charts, network diagrams, and other business or technical diagrams. Software development and web design: Create wireframes and site map diagrams. Business Intelligence: Import and visualize live data from business applications in charts, diagrams, etc. Learn more about mind maps, how to create a mind map, and how mind map software works below. What Is A Mind Map? What Is Mind Mapping? Mind mapping is a brainstorming process and creative exercise that results in a mind map. Begin with a blank canvas. Add a central node—your central idea or theme. Brainstorm sub-ideas or related ideas, adding them to the canvas. Draw lines to connect ideas and represent the relationship between ideas. Drag and drop the elements to re-organize your ideas as you add to the map. Use formatting tools to visually organize and display your information—change colors and size, add icons and images, etc. Why Use Mind Mapping Software? Mind maps are great tools for understanding and communicating ideas because we humans are visual creatures and we process visual information very quickly. No size limitation: you’re not limited to the size of your paper. Flexibility: you can easily re-organize ideas by clicking and dragging. Co-creation: in software that allows you to create a mind map online, you can often have multiple users collaborating on the same mind map. Visual presentation: you can use the formatting tools to create professional diagrams that you can quickly share and present. Still not convinced of the benefits of brainstorming tools? 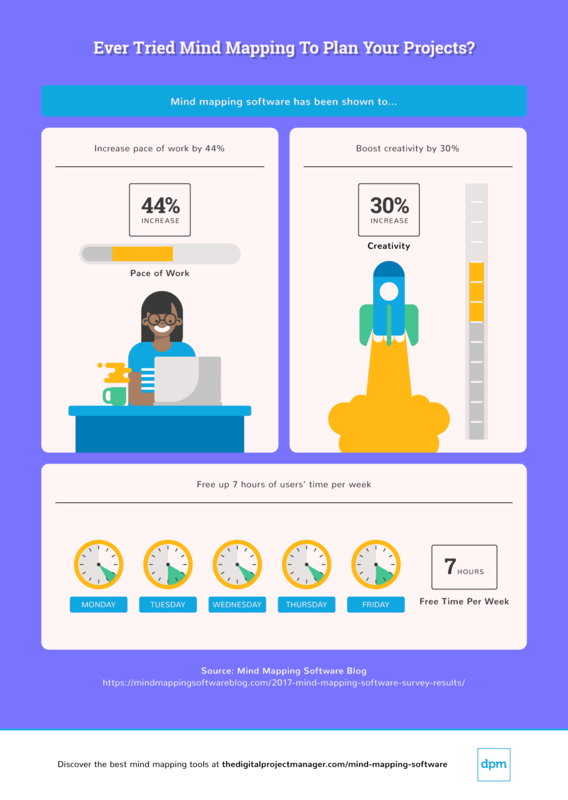 A survey from the Mind Map Software Blog found that online mind map software can increase your pace of work by 44%, boost creativity by 30%, and free up 7 hours a week of users’ time. To start, these are the top mind mapping tools that I included in this mind mapping software review. Find a summary chart and detailed description of each below. Here are a few of the best mind mapping software available today. Below, you can read about what they offer, how they’re different, and what types of projects they’re best suited for. From Microsoft, Visio is visual diagramming tool that works well for mind mapping as well as creating many other graphical representations. If you’re already using Office 365, Visio is a top choice because it can pull data from Office 365 and let you visualize it in real-time with the charts you’ve set up in Visio. This functionality sets it apart from other tools, as Visio enables you to bring you data to life in dashboards that display data-linked diagrams. It does more than simply help you illustrate your ideas on a screen. Much more than a simple brainstorming app, Visio provides ready-made templates to create block diagrams, flowcharts, timelines, flowcharts, floorplans, engineering designs, and Specification and Description Language (SDL) diagrams (and it also supports AutoCAD drawings). Users can share their diagrams as a link, attachment, image, or PDF and can collaborate through the comments and annotations features. Additionally, unlike a lot of the other mindmap software, Visio allows multiple users to collaborate simultaneously on the same mindmap. Overall, this is one of the more robust mindmapping tools out there. Keep in mind, it does have a steeper learning curve than many other tools, and it definitely offers more than you need if you’re just looking for a simple interface to make an idea map. However, for technical teams, engineers, architects, and business intelligence use cases, Visio is a top choice—as long as you’re willing to stay within the Microsoft ecosystem. 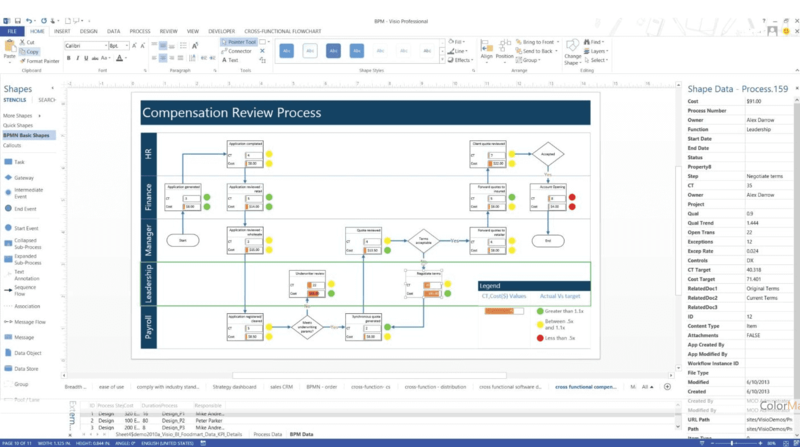 Microsoft offers Visio through a one-time purchase (Visio Standard and Visio Profession) or as a SaaS (Visio Online). Visio costs from $6.40/user/month. A one-time license costs from $459. SmartDraw is positioned as an alternative to tools like Microsoft Visio, claiming to be much easier for the layman to use while being just as powerful and more affordable. That’s a big claim to live up to, and while it’s not significantly more affordable (at $5.95/user/month it’s comparable to Visio’s $6.40/user/month), it does provide an intuitive interface with useful features that are applicable to essentially any industry, from landscaping and design to IT. SmartDraw provides users with more than 4500 templates for over 70 different types of diagrams, including flowcharts, infographics, landscape designs, decision trees, timelines, mind maps, engineering and CAD diagrams, and much more. It offers collaborative drawing online so users can work on the same diagrams at the same time, with an intelligent formatting engine that makes automatic adjustments to maintain your diagram’s arrangement. SmartDraw integrates with MS Office, Google apps, Jira, Confluence, DropBox, Box, WordPress, and Trello. 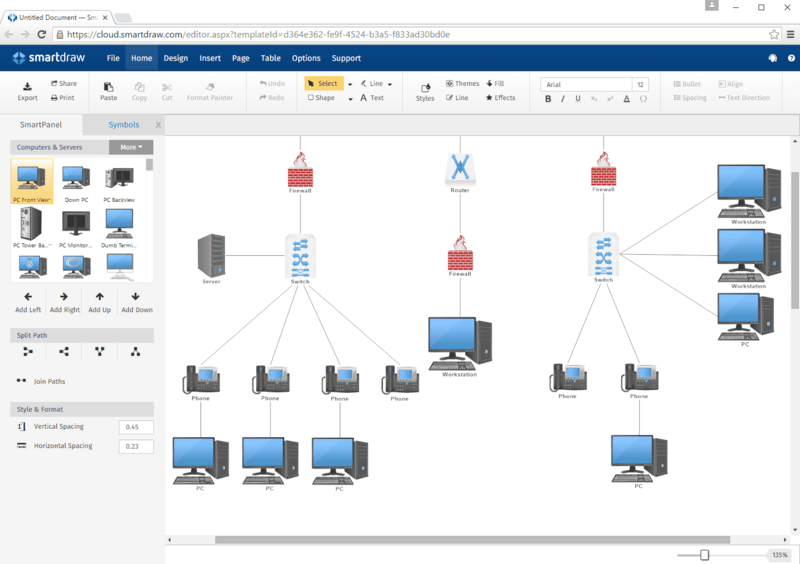 Overall, SmartDraw is a powerful tool, a strong competitor to the likes of Microsoft Visio and arguably more intuitive for the average user to navigate. Like in the case of Visio, enterprise teams are the users who will get the most out of its many advanced features. SmartDraw costs from $5.95/user/month on a plan with 5+ users, or $9.95/user/month for a single user. Miro is designed as a visual collaboration tool that enables teams to centralize their cross-functional teamwork. It offers a suite of features for mapping user stories, wireframing, and sprint planning that are particularly useful for distributed teams working in agile software development and web design. For live, real-time collaboration, Miro is one of the best brainstorming tools, if not the best. When working in the same canvas simultaneously (synchronous collaboration), users can see collaborator’s cursors in real-time to see how they’re interacting with the board and can communicate through both chat, video, screen sharing, and comments. Miro comes with out-of-the-box integrations with Slack, Trello, Gmail and many more. You can also build your own through their Rest API and web-plugins. Overall, Miro really takes mind mapping online to another level through its collaboration features. It’s a top choice for modern distributed teams practice design thinking or produce a lot of collaborative, visual iterations as part of their process. It doesn’t offer the data-linked diagramming available in tools like Visio or SmartDraw, but it’s a powerful illustration and concept mapping software well-suited to highly collaborative, distributed teams. Miro costs from $8/user/month when billed annually. They also offer a free version with up to 5 boards and unlimited team members, making it some of the best free mind map software for people who just want something for occasional use. Slickplan is marketed as a diagram designer for web planning teams. It functions well as a concept map maker, but it does much more than help you create a conceptual map. It provides features tailored to website design (UX designers, content teams, app designers and developers, website marketers) and has multiple pricing plans tailored to individuals, freelancers, small teams, and agencies. Slickplans’s diagram maker includes a symbology library, automated design functions, and integration with Slickplan’s sitemap builder. It enables simultaneous editing, live chat, commenting, easy export of your projects into various formats (HTML, DOCX, PDF, XML, etc) as well as export directly into integrated CMS platforms (WordPress, Joomla!, concrete5, Drupal, and Expression Engine). It also has integrations with Google Analytics, Slack, Basecamp, and Teamwork. Overall, Slickplan is a top choice for use cases like web design or mobile app development agencies. The diagram maker functions well as a stand-alone mind map maker but is part of their general website planning suite, which also includes a sitemap builder and a content planner. The entire suite offers visual collaboration features for conceptualizing and designing a website, from site map to content marketing flows. Slickplan costs from $8.99/user/month. They also offer a “free forever” version with limited features as well as a free 30-day trial of paid versions. Lucidchart is a concept map creator and general diagramming tool well-suited to businesses of any size who want to present data visually, scaling from a few users to enterprise organizations. 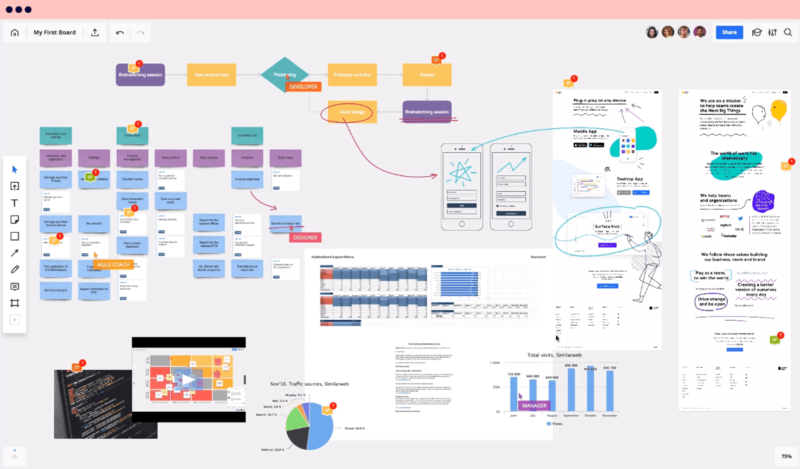 It’s offered as a SaaS that allows users to easily and quickly create online mind maps as well as flowcharts, technical diagrams, wireframes, floorplans, process maps, org charts, ER diagrams, and dozens of other graphical representations. This tools covers all of the bases: real-time collaboration features, easy export of projects into many different file formats, revision history, and hundreds of templates to speed up the diagramming process. You can also embed your Lucidchart diagrams into your wiki, website, or blog, and they’ll automatically update when you make changes in Lucidchart. 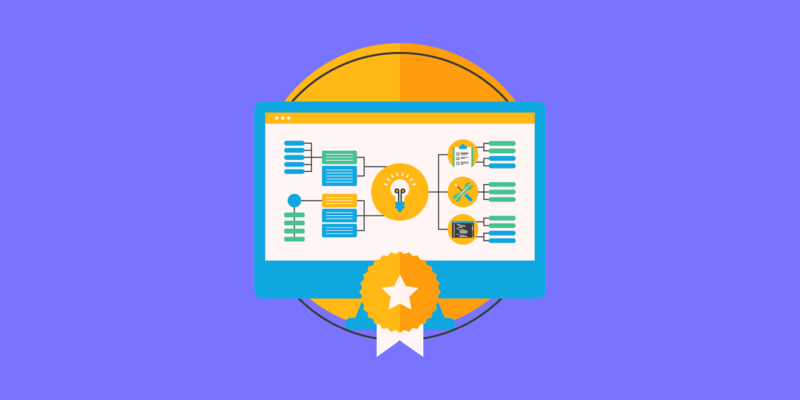 Overall, Lucidchart is some of the best mind map software for those who want something easy to roll out and learn to use. 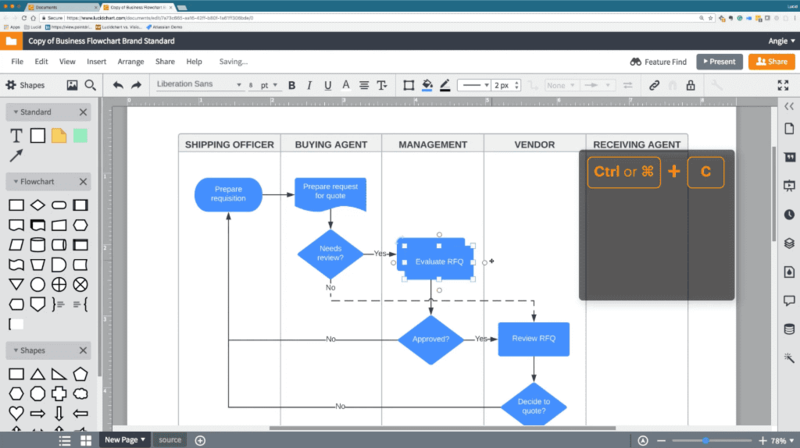 It’s positioned similarly to SmartDraw as a more affordable and intuitive alternative to Microsoft Visio, and it delivers. It’s the most affordable of the three solutions, it supplies an intuitive drag-and-drop interface, and its pre-built integrations with Google apps, Confluence, Jira, Jive, and Microsoft Visio make it easy to sync with existing tools. Lucidchart costs from $4.95/user/month when paid annually. They also offer a “free forever” account with limited functionality and free trials of their paid versions. Coggle is arguably one of the most aesthetically pleasing and intuitive concept map makers on the market. This application supports real-time collaborative drawing online, allowing multiple team members to co-create mind maps and flowcharts. Coggle’s useful features include auto-arranging branches, image uploads/attachments, a full change history, and collaborative drawing. You can download your mind maps as PDFs or image files, and you can also export as .mm and text as well as export to Microsoft Visio. Another way to share your mind maps is through embeddable diagrams, meaning that you can display your Coggle diagrams on a webpage and make any changes to the diagram from within the mindmapper tool. This tool doesn’t offer stacks of mind map templates (instead, you can search and repurpose the public diagrams in their gallery), nor does it support the creation of more technical diagrams like network, engineering, and architectural diagrams. However, if you’re looking for a simple, beautifully designed, easy-to-use mind map creator, Coggle should be at the top of your list. This is some of the best mind mapping software for people who are new to mind mapping and want access to all the essential tools. Coggle costs from $5/user/month. They also offer a free mind map software with unlimited public diagrams and up to 3 private diagrams. XMind is a popular brainstorming app used by anyone from startups and entrepreneurs to Fortune 500 companies. It offers several practical features for making mind maps and business diagrams (org charts, timelines, etc) more useful and accessible. XMInd offers some unique features for speeding up the process of making mind maps, converting mind maps into outlines, and quickly turning your mind maps into professional presentations using auto-formatting and one-click slide creation. They provide styles and themes to get you started, and as you create your mindmaps you can attach files, audio, images, and links. You can also work in “zen mode”, which eliminates distractions from the interface. The most useful XMind feature for project managers is Gantt View feature, which converts mind maps into Gantt charts (although you can find more specialized Gantt chart tools in our review of MS Project alternatives). They also have a mobile app that users have praised as being convenient easy to navigate. XMind integrations are minimal: it has an Evernote integration, but to share with other apps, you XMind enables you to export in Word, PowerPoint, Excel, PDF, RTF, HTML, Plain Text, to PNG, JPEG, GIF, BMP, and SVG files. XMind costs from $1.24/month for the mobile brainstorming app. You can also buy XMind for a one-time purchase of $129.00, and you can try it before buying with a free download. Marketed as “the world’s most powerful mind mapping software”, MindManager offers some best-in-class mind mapping and diagramming tools. It’s in use at enterprise organizations like P&G and conEdison, but they also offer a single license for purchase by individuals. MindManager is a robust tool with many useful data consolidation tools, and it can pull data from Microsoft applications through the MindManager integration with Office 365. When creating and presenting diagrams, you can use the View Customization features to quickly and easily display the data in different ways depending on your audience. Overall, while this mind mapping software fails to offer real-time collaborative drawing, MindManager a popular, well-supported tool that comes at a simple, sensible price (you buy a license through a one-time purchase). It’s much more than a mind map creator, providing data visualization tools for making org charts, timelines, project plans, and more. It even provides a dashboard that integrates and visually displays all of your project- or idea-related data. MindManager costs from $229 for a perpetual license (they don’t offer a SaaS). You can try the software for 30 days with a free download. Mindomo is an easy-to-learn concept map generator geared towards teachers and students, but it’s useful for small businesses and corporate agencies. It offers a suite of mindmapper tools with an emphasis on collaboration, providing users with the ability to easily co-create, share, and present their mind maps. Overall, Mindomo is a practical, user-friendly mind mapping software that focuses on doing one thing and doing well. Their native mobile apps make it all the more convenient to use this tool, enabling users to create and edit mind maps while offline from any mobile device (Android, iPad, iPhone, etc). Additionally, Mindomo integrations are more numerous than most other mind mapping software, including Google Apps, Office365, and LTI integrations with education apps like Canvas, Blackboard, Moodle, Desire2Learn, itslearning, Schoology, and others. 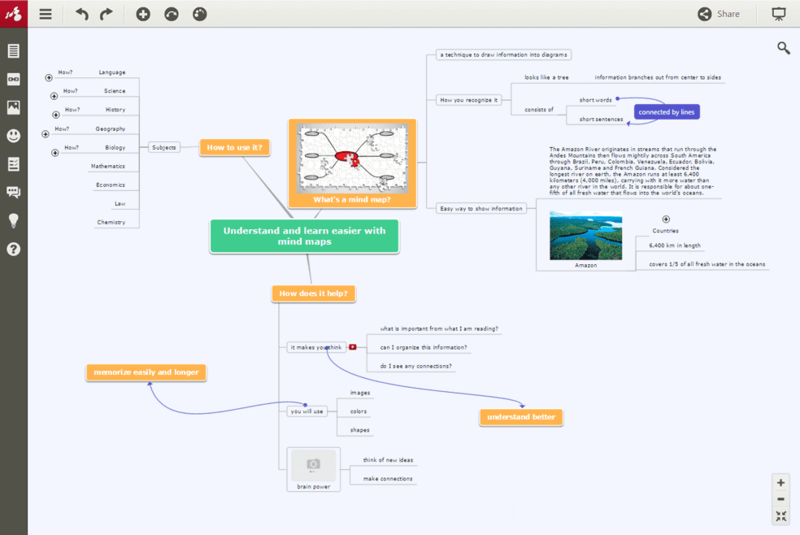 Mindomo pricing works out to $6/user/month, and they also offer a free mind map software supporting up to 3 mind maps. 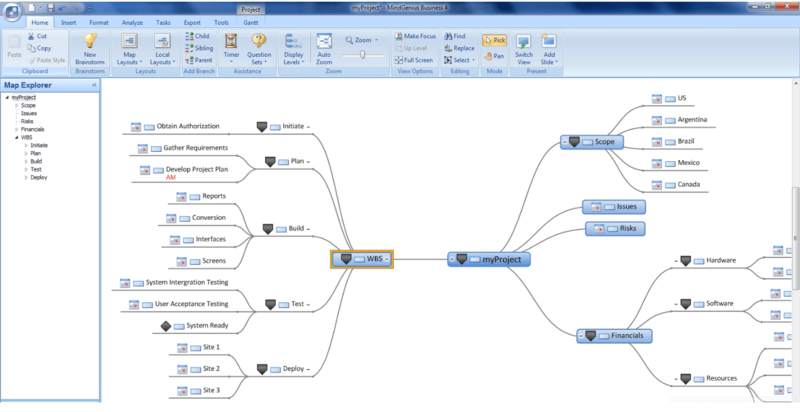 MindGenius is a combination of a concept map creator and a project planning tool. It’s designed for use in educational settings as well as for freelancers, small businesses, and agencies. MindGenius’ suite includes drag-and-drop mind map creation, along with project planning features like Gantt charts, kanban task views, and some basic project reporting tools. They include several features for making mind maps more useful, with filtering, highlighting, and labelling tools to help you organize and present your mind maps effectively. MindGenius also integrates with Microsoft Office, so you can easily export project data and mind maps to Word, Excel, Outlook, and PowerPoint. Overall, MindGenius is a useful brainstorming tool that helps you convert your mind maps from simple brainstorming documents into tools for managing your projects and business. They consistently roll out cool new features; most recently, their MindGenius 2018 version offers a new sleek, intuitive interface with a Dynamic Views feature that lets you switch between map/task views, and resource/Gantt chart views. MindGenius pricing works out to about $17/month for the first year, dropping to $4.60/month for subsequent years. They offer a free mind mapping software with a 14-day trial. Depending on your approach to mind mapping, you might want to have the ability to work from your phone, tablet, or other mobile device. This lets you capture ideas on the go, wherever inspiration strikes—on your commute, while travelling, at the top of a mountain, wherever. The chart below provides a basic summary of the top mind map tools included in this review. Get a snapshot of each tool’s basic pricing info, trial info, and overall quality score, and then read a detailed review of each tool below. The most important thing that a mind map does is help you represent ideas visually. Any good mind mapping app or software should give you the freedom and flexibility to easily create good-looking diagrams that effectively portray your ideas. But the best mind mapping software includes some additional features that help quickly turn your mind maps into useful, living tools. Real-time collaborative drawing. Can multiple users collaborate in real-time, working together on the same mind map? Easy file attachments. Can users easily attach external files? The best mind mapping apps allow users to attach audio files, videos, images, and links to mind maps. Presentation & sharing tools. Is it easy to present and share your diagrams? Mind maps are often used as visual communication or presentation tools, so mind mapping software should make it easy to share mind maps, convert into presentations, toggle between views, and enable others to easily access and view your mind maps. Integrations: Is it a stand-alone tool, or does it sync with your business applications (such as data management, documents, diagramming, development, and presentation tools)? Your need for integrations depends on how you plan to use the mind mapping software, but tools with pre-built integrations with common tools like Microsoft Office and Google Apps make it easier to get more insight, more quickly, from your mind mapping app. 1. Do We Need Live Collaboration (Co-Creating With Other Users)? Mind mapping can be an individual creative exercise, and it can also be a group planning or presentation activity. Not all mind mapping software offers live, real-time collaboration that enables multiple users to co-create the same diagram. 2. Do We Want Diagramming Beyond Mind Maps? While some people use mind mapping software to simply brainstorm ideas in a visual way, others use it to make more complicated visuals like engineering diagrams, architectural plans, and network diagrams. In some cases, teams use mind mapping software as a diagramming tool for laying out wireframes or websites, or even as a data visualization tool to import and display complex data from their business in charts and diagrams. What mind mapping tools have you used? Have you used one that’s not on the list? Let us know in the comments below.